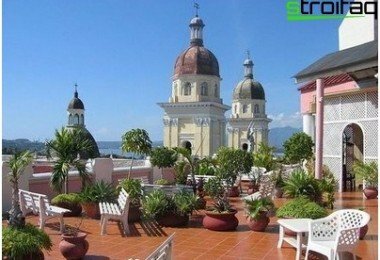 What is the thermal insulation of the roof? 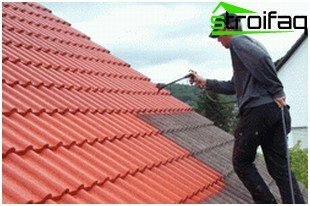 Everyone knows that the main purpose is to protect the roof of the building from rain and from heat loss. 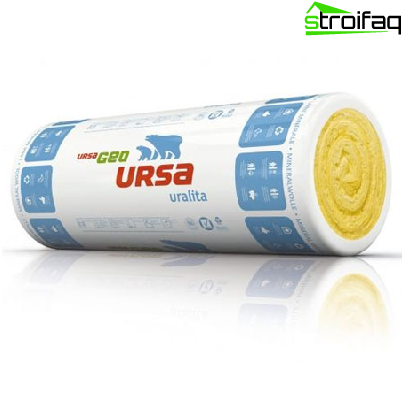 So, with the help of thermal insulation materials can reduce heat loss as much as possible, that is, to make your stay in the house most comfortable and economical in terms of heating costs. This important issue will be devoted to the publication, examined it from all sides. 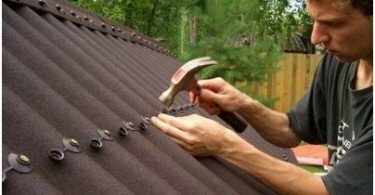 How to make a flat roof insulation? Saving money on TEPLORESURS consumption. Some people believe that they can come inshop and buy a heater, without attaching much importance the characteristics of the material. 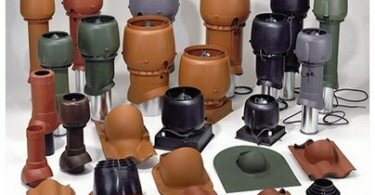 Such an approach was not the right, so now we will look at the main varieties of heat insulators. 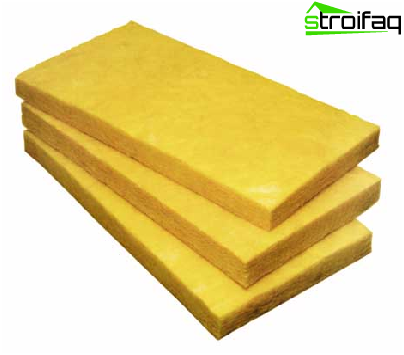 Mineral wool - the most common material, produced by manufacturers in the form of rolls, mats, plates. It is soft, easily mountable and has good qualities. It is important to know: to the attic and the pitched roof is most suitable mineral wool with a low density, laminated with foil or glass tissue. 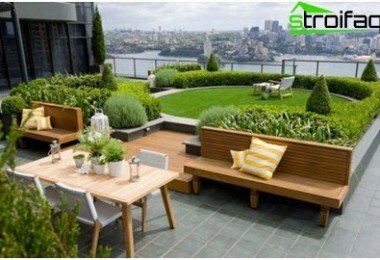 As for the arrangement of flat roofs, it is better to give preference to wool increased rigidity. quality (! ), the material is very long. It is important to know: URSA is made from molten glass - used method of vertical blowing fiber stream of hot gases. It is worth paying attention to: the cell walls are a solid mass of material, so that the elements of the environment only enter in the open cells that are on the sections of the side surfaces. flammability - the importance of this property is clear without further ado. Insulation of stingrays in demand today, because now in vogue comfortable attics and lofts. 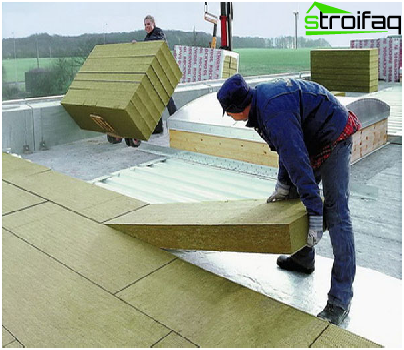 It is important to know: the thermal insulation layer on the attic ceiling is not enough, because then blocked access to heat from the main premises. Installation should start from the bottom of the ramp,gradually moving up. Fasten the product in several ways: in the first case it is assumed the use of rods, stuffed perpendicular to the rafters, in another case, a cord made of durable nylon. From the inside insulation is placed on thevapor barrier film, and then made plasterboard trim, clapboard. 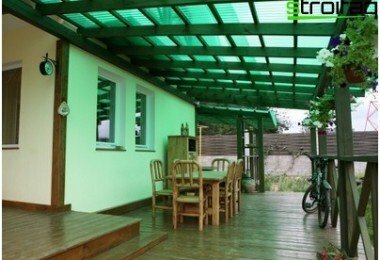 But from the outside it is necessary to arrange a layer of hydro and wind insulation. 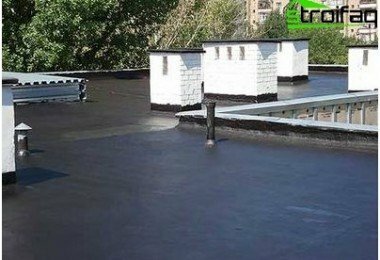 For this purpose, applied diffusion / anti-condensation membrane, they also have laid roofing material. in this manner, alternating laying of tiles and planks, insulated the entire ceiling. It is important to know: Bulk materials are made of cork granules or beads, fur, shale minerals. The weight of the bag - 110 kg and its contents is sufficient for insulation square meter surface. Plus, it is possible and external insulationflat roof. Outside trafficable flat roof insulated with rigid plates. To do this, on top of the boards of the supporting structure is necessary to lay a solid foundation of the panels. They are placed insulating panels, which are then pressed down paving tiles, pebbles. This procedure seems easy, but it is mistakenopinion. When carrying out a complex of works on their own very great risk that the structure will not sustain the weight of the materials and the coating itself will leak. 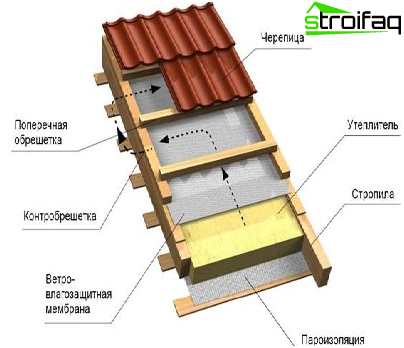 The publications have been considered the mainproofing materials and methods of thermal insulation of the roof. But if man is able to make your own hands, it depends on his skills and professionalism in this matter. But one thing is for sure: in the construction details does not happen, so you need to assess your skills and decide if specialist help is needed. Remember, even a small mistake can lead to negative consequences, that is, you can not save on materials and insulation should be carried out efficiently, taking into account the rules and regulations!